The people of Inishowen are being encouraged to once again give generously on daffodil Day, which takes place this Friday. 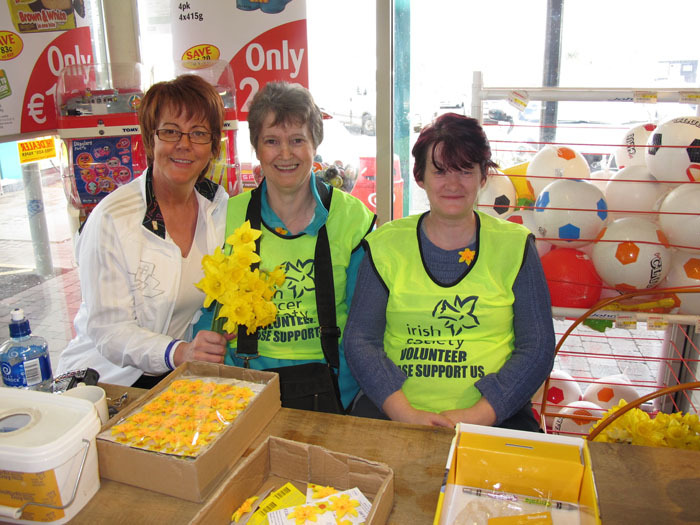 Daffodil Day raises funds for the Irish Cancer Society and has been well supported across Inishowen for years. Grainne Gillen who organises Daffodil Day in Carndonagh said there has always been a great response in this part of the world. She said: “Daffodils will be on sale outside SuperValu and Costcutters all day Friday. “As well as fresh bunches people will be able to buy key rings, badges and pens.